Limited time offer for Home Cleaning in Denver -- 30% off your first booking! Our mission is to help you find professional and affordable house cleaning in Denver. Founded in 2012, Handy has helped millions of people across the country enjoy more free time to do the things they love. If you don’t have the time to clean or you’d just prefer to do other things, we’ll help you find the best home cleaners in Denver to make your sparkle again, while you take back control of your free time. She was running a little late but stayed to make up for it, which was great. She also didn't have quite enough time to finish up. She did a great job on what she was able to complete. She cut her finger very deep on a soap dish that broke while she was cleaning. Rebecca is really friendly and thorough! I have cats, so I also that the products she uses don't smell overly chemically. I didn't expect the bedrooms to be cleaned. I couldn't believe my eyes when I walked in. The house smelled so clean and crisp! This was our second booking with Sarah and she was wonderful. Pleasant personality, thorough cleaning, very flexible. Would highly recommend her. Michelle is very friendly, professional, detail-oriented, and thorough! She did a fabulous job today and i will tip her separately. My furniture in my guest bedroom wasn't dusted and it doesn't look like my toilet was cleaned. The rest of my place was beautiful!!! Velma is AMAZING!! She has such great attebtion to detail and I loved havibv her in our house! Thank you!! Why book house cleaning in Denver through Handy? We’ll connect you with friendly cleaning professionals who are all background checked for your assurance. Plus, every house cleaning booking you make through Handy is covered by a Handy Happiness Guarantee. That means if you’re not happy with any aspect of your housekeeping or house cleaning services then neither are we, and we’ll work hard to make things right. Our goal is to provide you with a direct link to the best house cleaning every time you need one. Your maids will take care of your home and provide professional home cleaning services, freeing you up to do the things you really love. Are you looking for a cleaning company to clear your garbage? Your home cleaning service will take care of all that. Or maybe you need a cleaning lady to vacuum your downstairs areas or make your bathroom spotlessly clean? Whatever you need, we’ll put you in touch with cleaning professionals who can get the job done. 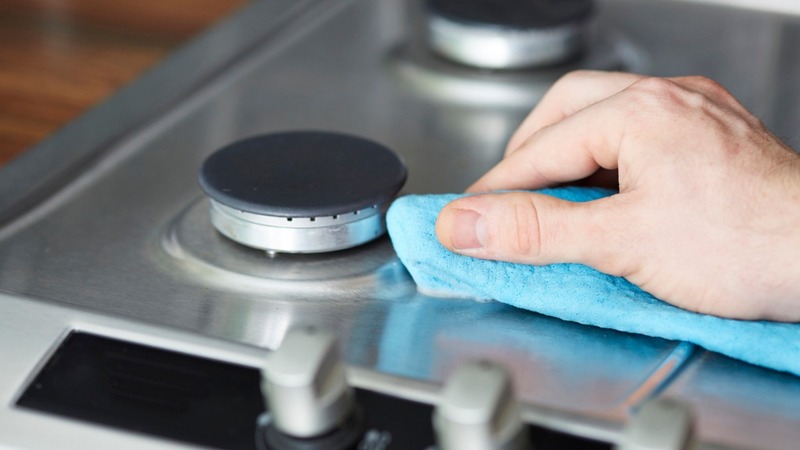 You can also book deep cleaning services for items like freezers and ovens for a small supplement. Who can book home cleaning in Denver through the Handy platform? Handy links you to experts providing house cleaning services in Denver and beyond. The app is perfect for people who struggle to find the time to clean or would just prefer to spend their free time doing other things. You can book online, too, making it even more ‘Handy’ (see what we did there?). We work with service providers and customers all over the Denver area. Do you need a home cleaning service for your shared house, and are all struggling to stick to a cleaning routine? Or perhaps you're a homeowner who has a long commute Downtown and wants more free time for leisure and relaxation? With a great selection of providers offering cheap house cleaning services in Denver, you can make that happen. Wherever you live, we aim to connect you to the best house cleaning services in the city every time. My floors are laminate and don't do well with water, so please choose the correct cleaning product. I said we have # bathrooms, but it is technically #.# (there are two bedroom bathrooms upstairs and one half bathroom by the kitchen). You do not need to clean the half bathroom off of the kitchen. Blue house in the back of the culdasac off of S Eudora. We have two dogs but either myself or husband should be home to put them out back. Please clean under the couches. Slide couches out if necessary.Do not park in back alley. Street parking only please. When you’ve had a stressful week at work, it’s tempting to want to get away for the weekend. When you book your Denver house cleaning services through Handy, you can load up the car and hightail it to Vail, Breckenridge, or whatever your mountain of choice happens to be for a weekend of guilt-free skiing! However, if you don’t use professional home cleaning services in Denver, you may end up spending hours of your free time sweeping, vacuuming, and sanitizing your home. We think life’s too short to do those things on a weekend, so why not let someone else do it for you? Book with Handy and top-rated Denver house cleaners will happily take all that work off your shoulders. Let the best house cleaning services in Denver liberate you from all those tedious chores so you can get out get out and make the most of Colorado’s stunning sights. Make more time for family activities like a picnic at City Park, or a trip to Denver Zoo and the Denver Museum of Nature & Science. Your friendly cleaners always provide their own cleaning equipment when they show up to do your house cleaning in Denver, so they can get working straight away. Whether you need cleaning services to make your home tidy for guests or want to book a weekly house cleaning in Denver, your cleaners won’t let you down. Book your next home cleaning service online, or download the Handy app and book on the go. Free up your hours and minimise stress with cheap home cleaning services in Denver. From bathroom cleaning to sweeping your kitchen floors and vacuuming your living room, your home cleaning service in Denver is just a few clicks away.